I made two really tasty cookies. First up is is a chocolate chip pudding cookie. The recipe can be found here. The changes I made was I used chocolate pudding, because that is what I had on hand. I also added caramel bits. I really like how this turned out. it is moist, chocolatey, with a hint of caramel. But the main winner in the household is the Homemade Oatmeal Cream Pies. The recipe can be found here. The batch I made yesterday is nearly gone, I was also TOLD to make another batch. It did turn out really good. My stepson mentioned we should sell them and charge $2-$3 cookie. They both look good, but those second oatmeal cream cookies made my mouth water. Yummy! These look so delicious! 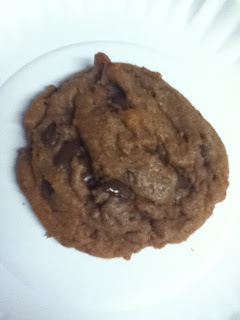 I love cookies and especially when they have chocolate in them! :) I am a new Follower of your Blog from the Terrific Tuesday Blog Hop. Take care and have a good Tuesday. 2 more amazing looking recipes for my growing cookie collection!! Thank you! They must be really great if your stepson thinks they are good enough to sell. Kudos to you. Thank you for linking at Joy of Desserts. Yum, those oatmeal cookies look so good! YUM! Hello and thank you for joining the Planet Weidknecht Weekend Hop. I'm following you and hope to see you again this weekend. 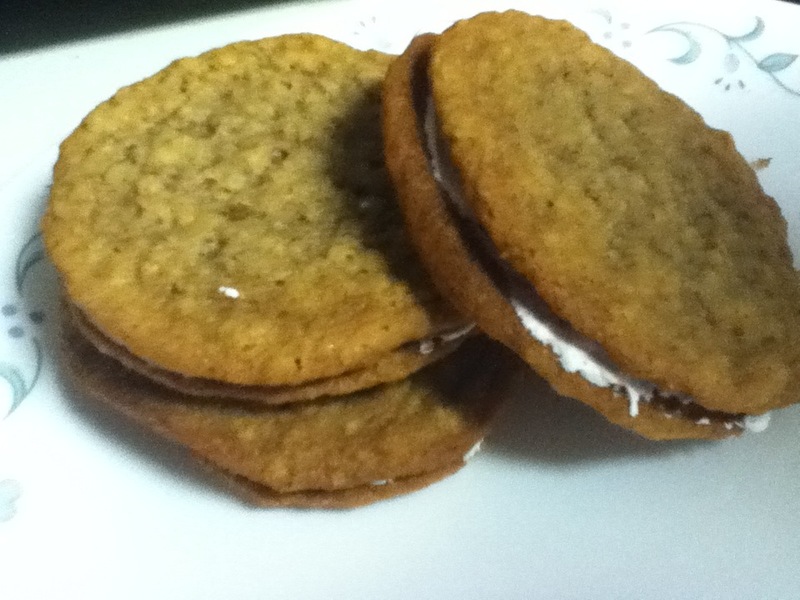 You have inspired me to make those oatmeal cream pies... making the list, now! They both look awesome, but the Oatmeal Creme Pies are destined to be my favorite. I Love Oatmeal!! I linked to you from Foodie Wednesday. Thanks! Your Oatmeal Cream Pies look great! That's one of my Little Debbie's. Thanks for sharing on Sweet Indulgences Sunday. Oatmeal Cream Pies are my favorite, so I'll have to try this recipe! But more importantly, you have me craving hot wings at 11 am :) I'm a new follower, please check out my blog! They look delicious. I absolutely love Oatmeal and cream cookies. Thank you so much for sharing them at Foodie Wednesday. Hope to see you there this week as well.